He Throws A Ball Of Tin Foil, But Keep Watching For The Reaction… This Cat Is Hilarious, OMG!! When this guy throws a ball of tin foil, you won’t imagine how crazy his reaction is! He basically goes BIZERKKKK and jumps around like a crazy in the funniest way ever… This cat is SOO hilarious! 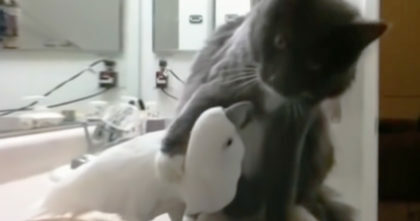 Most cats like to play and have fun, but this cat GOES COMPLETELY CRAZY! 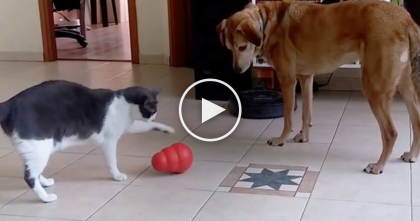 I’ve honestly never seen any cat get this excited about anything like this before…You’ll totally understand when you see it! 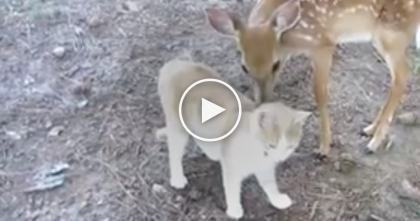 This video cracks me up, hahahaha—SHARE this story with your friends!! 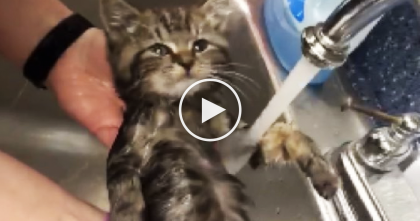 Rescued Otter Kitten Gets A Bath For The First Time, But His Reaction?? OMG… Too Cute! !